Share Bob and Pricilla's EPK! Bob Salihar and Pricilla Wallis are a singing , song writing duo from the state of Illinois. Bob plays the acoustic guitar, harmonica, and square neck dobro. Pricilla and Bob both do vocals and all the song writing. Pricilla also accompanies songs with the flute. They also enjoy when a fellow musicians want to play along with them. Their all original songs, sound in the style of country/folk/bluegrass. Bob and Pricilla are currently in the studio recording 16 of their collaborated work. They are hoping to have "Finding my way" done as soon as possible, (release date TBA). Finding my way will feature such songs as, Just country, Coexist, and the first song they ever wrote together, Finding my way back home. They have played gig in places such as The Tonic Room, nirvana bistro and gallery, and The Abbey , The Tonic Room, and Chicago Acoustic Underground in Chicago IL. They have also played The Red Harring in Champaign IL. Bob Has played in small theaters across the Midwest, as well as festival. Some of the festival were Strip mines music festival, Black hawk farms, and farmopoluza. Bob Salihar is also an original member of Oucho Sparks and The giving Tree Band. 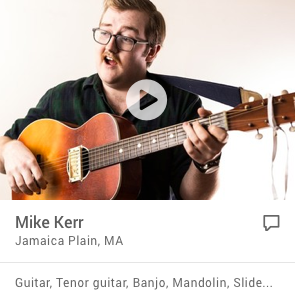 He has played along with such bands as leftover Salmon, Hot buttered Rum, and FGC. Bob attended college in 1996 at College Dupage. He studied music in the jazz department playing guitar and upright bass. He also attended North central college where he received a scholarship for upright bass performance. Bob is currently and for the past 7 years has been a music teacher at Music Makers in Western Springs. He has taught all ages, acoustic and electric guitar as well as some bass students. Pricilla took flute lessons during grade school and High school. She now is starting to add more parts for flute into their music. Bob and Pricilla are widely influenced in their music. Bob grew up listening to folk, rock and blues music on his Mom's record player. Musicians like Muddy Waters,Paul simon, and Crosby ,Stills, Nash and Young as well as The Greatful Dead and the Beatles opened his mind and ears to the many possibilities in music. Pricilla growing up with her grandparents, listen to the local radio station WGCY. She heard mostly country, folk, bluegrass, and old-timely swing. The Carter Family, Doc Watson, Grateful Dead, and Janis Joplin are some of her favorite Bands from her Childhood.